Day 40 – Cuddle Time! Bob has a little cold right now….so we’ve been keeping him in at night. 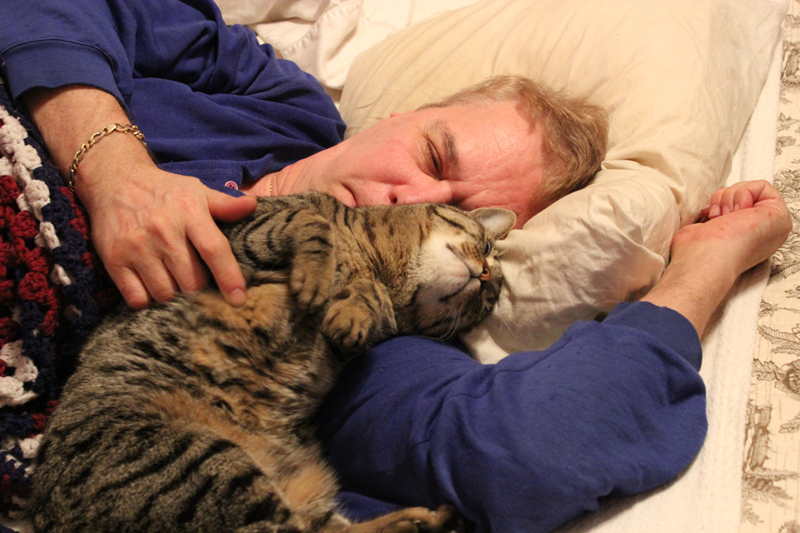 This morning…..he was in a lovey-dovey mood! He is definitely a cuddler!! This entry was posted on Wednesday, February 9th, 2011 at 2:12 pm and is filed under Uncategorized. You can follow any responses to this entry through the RSS 2.0 feed. You can leave a response, or trackback from your own site. One Response to Day 40 – Cuddle Time! What a sweet kitty Bob is.